5. (And here is my personal favorite) If they tap you on the shoulder, you should tap them back, even chase them if you have to because they have just put a spell on you. Well, it pays to be cautious but really, urban legends are just that - legends. Although I had my apprehensions, the first thing that you will feel once you set foot on the island is not fear but awe. And once you discover what the island can offer, then, you wil definitely wish to extend your stay in that wonderful island-paradise. Of course, you need a road warrior to travel around the island. I would advise you not to take the transportation offered by your resort because it can be very costly (with the resort's commission and all). It would be better if you ask the people around the area and rent your own vehicle. You can have a choice of motorcycles or pedicab/jeeps. In our case we chose the latter. The pedicab/jeeps of Siquijor are very colorful and fancy. We paid P700 pesos excluding tip for our cab. I have previously posted here my various trips and adventures in Siquijor and this final post will complete the picture. So here are some more pics of the places I have visited. Located in San Juan, Capilay Spring is a natural spring-fed swimming pool situated at the heart of the town plaza where local people converge during weekends for a swim in the cool waters of the spring or simply sit under the shade in the spring park and people-watch. 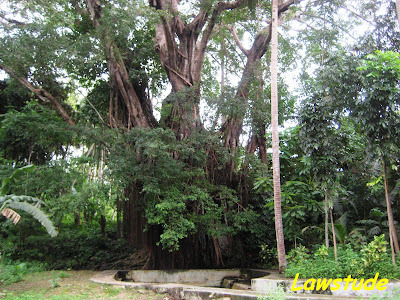 Because of its eerie outline created by hundreds of roots and vines hanging down, the tree is believed to be enchanted. Before, there is a pond at the helm of the tree where visitors could dip and be miraculously healed but now, the pond is not safe for swimming. Instead, there are few fishes swimming in there. Although not really a tourist spot, I included Coco Grove here because I believe that this is the best resort in Siquijor at the moment. Plus, it fronts a beautiful beach and rocky sea side I have previously featured in my latter posts. While it may be true that it is a bit high-end, nevertheless, it is all worth it. The staff are corteous and the facilities are just great. So there, the Mystic Island of Siquijor. I believe it is not the ghosts, mambabarangs or the aswangs but the scenic panorama of land, sea and sky, coupled with quiet mountains and hills that hold the secret why Siquijor is a mystifying island. hahaha. Did you follow their advice? 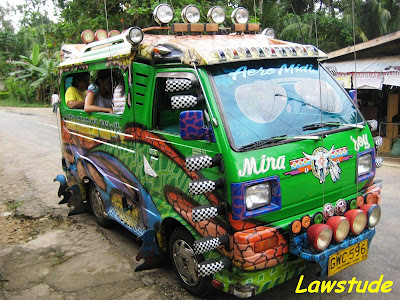 I like the jeep, Filipino ingenuity at its best. Hello, got here thru anonymous lawyer and i see that you are also an accountant like me and a lawyer too. It's nice that you still find time traveling. Check out my blog too and we can discuss taxes. Such a wonderful island. I like the last part when you said that Siquijor is called the Mystic Island not because of ghosts, etc... but because of its scenic panaroma. Truly, one should not believe urban legends but should experience the island first before believing those stories about Siquijor. @ carlotta - nah, i forgot about their advise when i got there. but yes, i only drank mineral water for health reasons. thanx for the visit. @ oscar - there's no need to follow 'em 'coz i was not put into a situation where i have to. but wait, if i remember it ryt, the host in the resort just tapped me in my back just when i was boarding the ship. hmmm, let's see what happens. @ lubna - thanx for the visit, it nice to meet new bloggers here, i will definitely check your blog to discuss taxes... and friendship too if u want. @ electric itlog - first of all nice blog name (so different). anyways, life is too short so you have to find time if you really want to do something. thanx for the visit. @ m tan - i totally agree with you, it is an island paradise and nothing less. I hope to go there next year but I really want to meet those healers and ghosts! 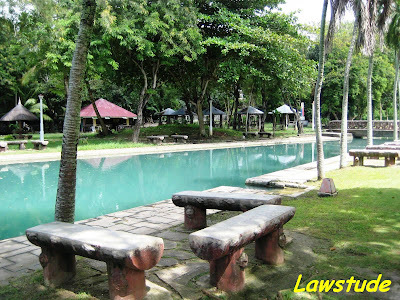 Hello Lawstude, the photos you have taken from Siquijor are really beautiful. I hope that I can also go there someday. I love the place but i thought Siquijor has caves and falls. Why are you not posting it? siquijor is still a mystery to me. i think it's a must see place. Lapit lang to sa cebu. @ sidney - i think you can go to Brgy. San Antonio to meet the healers. About the ghosts, ahmm, i can only wish u luck. @ amy - thanks for dropping by. @ nosotras mismas - i have checked your blog but i couldn't understand a thing. i do not know how to write/read spanish texts. all i can say is buenos diaz and gracias for the visit. @ YAN - sadly, cambugahay falls is submerged in water and the path through cantabon cave is quite slippery because of the non-stop rains. next time hopefully. @ lazarus - it is about 4 hour via fast craft from cebu via dumaguete. and yes, it is a must see. Lovely pictures. I also like traveling and I hope that I can visit Siquijor someday. Lawstude, I have to disagree with your advises. Things like that makes Siquijor more scary. None of them are true. Sorry. 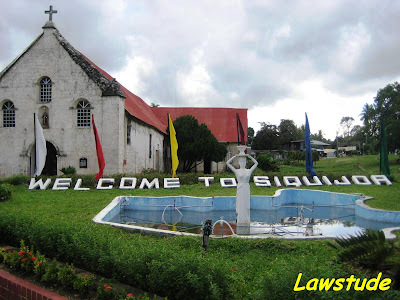 Most people think Siquijor is just the land of aswangs and a province which you should never visit especially during holy week. But with the picturesque beaches of Siquijor that I’ve seen so far, I think the province deserves a second chance. Hello there, I hope u dont mind, I have a question coz il be in Siquijor next week. Fancy running into somebody who actually went to and wrote about Siquijor, my island-home. I'm heading back to the island anytime soon. @ turkangel79 - thanx for the visit and good luck on your travels. @ anonymous - thanx for the visit. however you should read the whole context of my post because they are my friends' advise and not mine. @ adrian - i could not agree more. thanx for visiting. @ kegler747 - i have posted my reply in your blog. hope it helps you. have a safe trip. 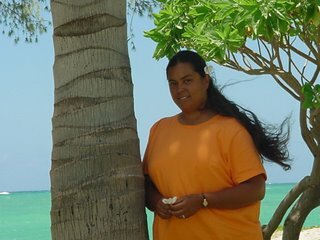 @ river wilde - i had a great time at your island and would not hesitate to go back. thanx for dropping by. i never really thought about all that when i was in siquijor. i knew that if i would just behave and be nice to everyone, i won't have to worry about anything. Oh I see. My mistake. Lol. Urban legends nga lang pala. ganda naman ng mga pics..
thanks for visiting my blog and for the comment.. and for the advice (regarding anti histamine) hope to read from you again soon.. I consider Coco Grove a tourist spot. People can still enjoy the place for a minimum of 50pesos per person even if they are not staying there. @ biyahengpinoy - i agree, as long as you mean no harm, they won't do u any harm too. bout the video, yeah i have seen it and i like it. i am sure viewers of clickthecity would love it too. by the way, saan yung link ng clickthecity? @ krisjasper - thanx for the visit too. hope you enjoyd blogging as much as we do. @ ferdz - mainly because of the beach and the sea side di ba? by the way, i love your pics of lazi and cambugahay falls, parang nakarating an rin ako dun bcoz of ur pics. I don't believe in the Horror stories of Siquijor. However, these stories always preceded the island's natural beauty. Tales of witchcraft and supernatural phenomenon lend credence to Siquijor's mystical appeal. Been to siquijor a lot of times due to work related activities. Libot na pud ang 6 municipalities. Nangutana ko sa mga locals ingon sila the same ra gud kuno na sa opon nga gidungod nga daghan hiloan. Ingon kasagaran nga mga locals kay dili tinuod but kun makatiming nga naa kaon like fiesta kay moingon tung driver nga punit lang sa sud-an nga iya puniton. 6. Wag masyadong magtititingin sa babae kasi baka ka magayuma. 7. Wag ka magtututuro dun at marami engkanto baka lumaki daliri mo. 8. Wag ka dudura kung saan-saan kasi baka lumaki labi mo. Kaya punta na kayo Siquijor. Tara ihi tayo kung saan-saan. @ ray patrick - oo nga ano. come to think of it, those stories plus the island's amazing scenery make the island mystical. thnx for the visit. @ bisdak - i do understand the first sentence but im afraid i don't understand the rest. Love the Jeep! But my favorite is the tricycle rides!! I can't wait come visit my family again. Great pics!! Thanks for sharing! @ traveler's road - well, we have to work so that we can have money to travel ryt? you deleted ur new pics? think positively, maybe thats a sign that you have to go back to that place again. have a nice day. @ rochelle - hello. thanx for the visit. incidently, i live in the tricycle capital of the philippines so you will have a grand time here in cabanatuan city. wow, siquijor series! napa-reminisce tuloy ako, he he. i really enjoyed my time there too. did you get to try out the free kayaks at coco grove? we went wild over those free kayaks! @ rina - im glad my posts remind you of your great time in siquijor. free kayaks? how come i didn't get that? hmmmm. maybe i should go back there. yes go back there and take me! take me whereever you go.i want to learn the things that you know. @ anonymous - its ok. you're welcome to visit here anytime. Thanks Lawstude for visiting Siquijor and promoting it..Honestly,I appreciated people who visited and their trip there instead of saying bad against the island. I was born there and considered it as my home still. siquijor is really a great place.. there are lots of wonderful view to find out.. the beaches are very nice and their white sands are so fantastic,you could enjoy having a picnic w/ your family,also w/ your friends. We from Siquijor are very proud that we were born as Siquijodnons even if other people thought that our place has lots of mysterious beings. The best talaga ang siquijor para sa amin. Ali na mo sa Siquijor kay tsada kaayo dri, dli true ng mga whatever dha.